Around 75 per cent of financial services CEOs have serious concerns about shortages of digital skills in an industry experiencing seismic levels of disruption from new technologies. From banking and wealth management to superannuation and insurance, the financial services (FS) landscape is being transformed by technology. While the adoption of artificial intelligence, blockchain and robotics are set to drive efficiencies and increase productivity, FS organisations also need to ensure their staff are equipped with the right skills to operate in a digitally-transformed industry. The latest PwC CEO Survey looks at how FS organisations are shaping their workforce strategies for the digital age, the challenges FS organisations face and how they can get up to speed. “Keeping pace with digital transformation is as much about talent as technology – people, rather than systems, drive innovation and realise its full commercial potential,” the report said. “Workforce pressures are heightened by the disruptive impact of cost constraints, regulatory change, competition from new entrants and the overhaul of business models. When asked how disruptive they think technological changes (e.g. artificial intelligence, robotics and blockchain) will be for their organisations over the next five years, insurance CEOs and banking and capital markets (BCM) CEOs see more upheaval ahead than business leaders from any other industries. Eighty-two percent of insurance chiefs and 76 per cent of BCM leaders expect changes to be very or somewhat disruptive. Asset and wealth management (AWM) CEOs are not far behind, with 70 per cent saying the impact will be very or somewhat disruptive. “As digital transformation drives innovation and reshapes customer expectations, it creates huge opportunities to fire up productivity, profitability and growth. Yet, many FS organisations are behind the curve, owing to challenges ranging from labouring under the deadweight of legacy systems to difficulties of making major changes within a highly regulated industry,” the report noted. More insurance CEOs (85 per cent) and BCM CEOs (85 per cent) are concerned about how the speed of technological change will affect their growth prospects than any other industry. Among FS leaders as a whole (including AWM), 81 per cent are worried about the pace of change. “As transformation gathers pace, demand for data analysts, robotics engineers and a variety of other tech specialists is on the rise,” the PwC report said. FS CEO concerns about skills shortages have increased significantly in the last five years. Digital skills present a particular challenge. Three-quarters of FS CEOs are concerned about shortages of digital skills within the industry (75 per cent) and within their workforce (76 per cent). More insurance CEOs are worried about these shortages than any other industry in the survey. It isn’t just digital skills that are in demand, but also the creativity and emotional intelligence needed to innovate and connect with customers – 91 per cent of FS CEOs believe they need to strengthen soft skills in their organisation alongside digital skills. 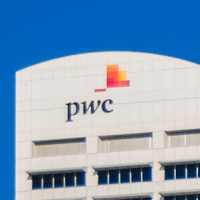 PwC surveyed 428 CEOs from financial services. This included 188 CEOs from banking and capital markets, 126 CEOs from asset and wealth management, 100 CEOs from insurance and 14 CEOs from other types of FS organisations.